Caravans is open for children Pre-K (4 years old) to 6th grade. The first classes will start Wednesday, September 5th. We meet every Wednesday from after school to 5:00pm, September through April. Busing from school is provided. This is a scout-like program with a Christian foundation. Students will learn songs, pledges, and scriptures. 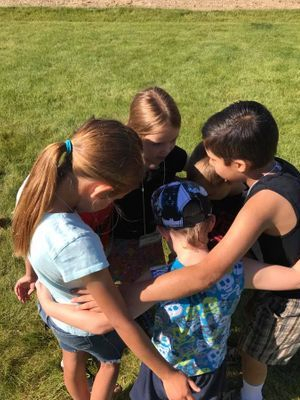 They will participate in a wide range of studies and activities such as Biblical concepts, Christian beliefs, cooking, art, biking, fishing, and camping. Each activity gives the children an opportunity to earn badges or pins they can display proudly on their sash or scarf. For more information, contact the church office at 208-414-0135. Children's church is offered during the service every Sunday except when there are 5 Sunday's in a month to give kids a chance to sit with their families during church. 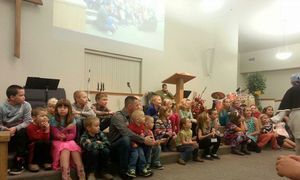 Kid's are dismissed after the singing and prayer time of the service and have an opportunity to learn a Bible lesson that is relevant to their life. 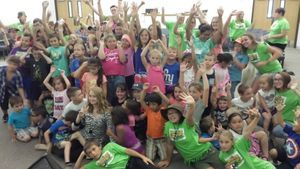 The second of June Weiser Nazarene hosts our annual soccer camp for kids from preschool to the 6th grade. 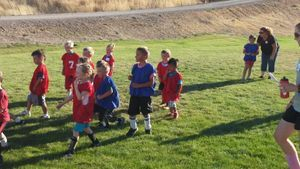 This free event meets Monday through Friday from 6:30 PM to 8:00 PM and teaches kids in age groups the skill of soccer and overall good sportsmanship. Over the last several years we have hosted the Annual Easter Egg Hunt for the community. Thousands of eggs get scattered across our 7 acres of lawn making this an enjoyable event for the whole family the Saturday before Easter at noon.